Red Nose Day is one of the two Comic Relief's big fundraising campaigns to tackle the root causes of poverty since 1988. It's a chance for everyone to have a laugh whilst raising money to help change countless lives across the UK and Africa. The famous designer, Stella McCartney, has customised exclusive Red Nose Day tees to help raise money for the cause. There are only 25 pieces and each is unique and features an iconic image of the Beatles, Marilyn Monroe, Kate Moss or Tommy Cooper... and a giraffe for kids. 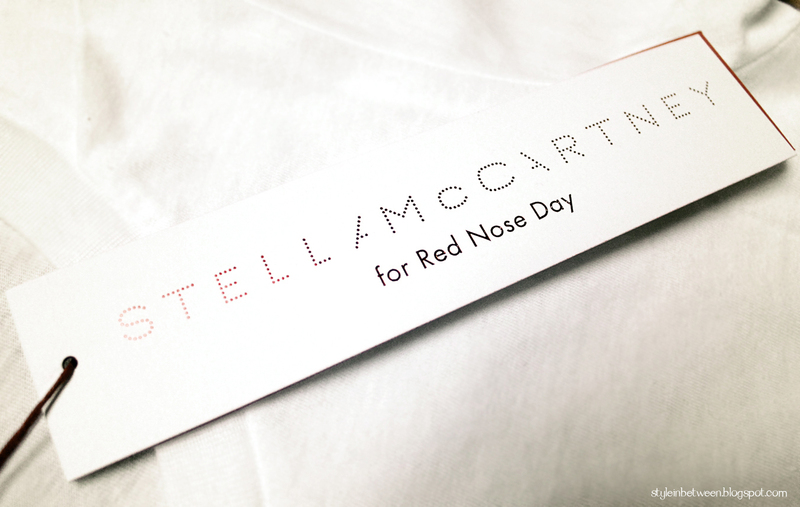 "When you buy a Red Nose Day T-shirt you are giving to a great and worthy charity", Stella McCartney says. "I wanted to go one step further and get really personal, so I customised a limited number of the T-shirts. They take you one step closer to an individual piece; while you're giving a bit more to Comic Relief, you're receiving a bit more, so it all makes perfect sense!" Red Nose Day will take place on Friday 15th March. If you want to help raise money and get one of these unique tees, you can order online here. But there are so many other things you can get : wrist bands, deeley boppers, air fresheners, bubbles, dinostickers, books and of course it wouldn't be Red Nose Day without a red nose. I remember in high school we all got red noses but this year they made some amazing ones with toes : the Dinosesaurs! 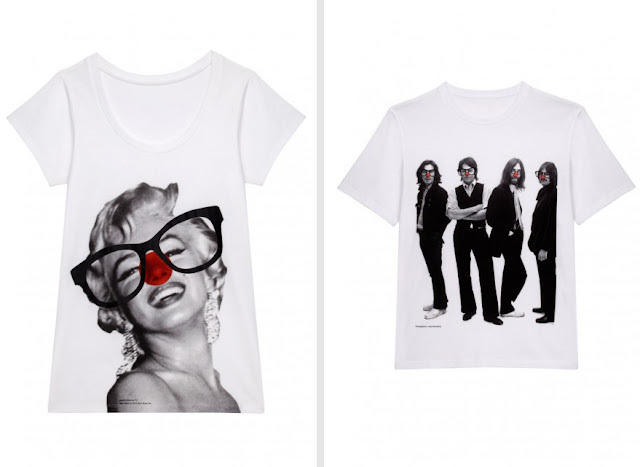 Check out the Red Nose Day Shop and get anything you want. - One Direction will record a cover of the amazing hit "One way or another" by Blondie. - Russell Brand is organising a concert in the UK called "Give it Up for Comic Relief" featuring Jessie J, Noel Gallagher, Eddie Izzard, Jimmy Carr and many more stars.